Super Savings Item! 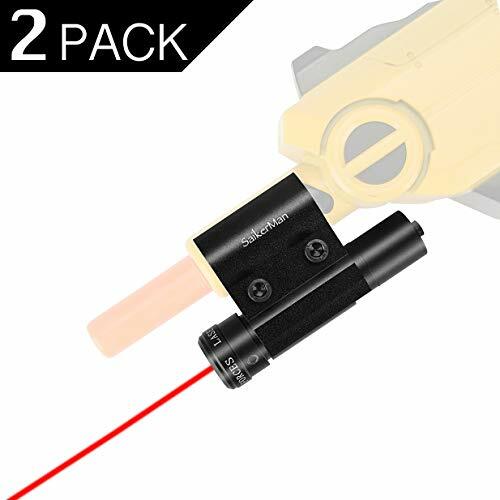 Save 34% on the SaikerMan Laser Sight for Bug A Salt Fly Gun 2 Pack, Aiming Scope Class IIIA Pointer Beam Accessories for Bug A Salt Gun Lawn & Garden Eradication 2.0 Shotgun Spray Guns All Versions by SaikerMan at Coop Book. Hurry! Limited time offer. Offer valid only while supplies last. SaikerMan Laser Sight for Bug A Salt Fly Gun all models NOTE Do NOT Aim at Eyes! For Adults Only! About the using Laser Class: Class IIIA. NOTE Do NOT Aim at Eyes! For Adults Only! Laser sight special design for Bug A Salt Guns, compatible with all models; This is a must-have add-on accessory for you to enjoy the shooting task! You'll never miss hitting those pesky flies & bugs again! One Year Warranty and 7*24h Customer Service from SaikerMan: We offer one year quality warranty and lifetime 7*24h customer service for you, only from "SaikerMan Direct" and brand "SaikerMan"
If you have any questions about this product by SaikerMan, contact us by completing and submitting the form below. If you are looking for a specif part number, please include it with your message. Hoont Standing Mosquito Killer and Gnat Fly Trap Killer, Indoor Outdoor Mosquito Trap Control - Bright UV Light and Fan/Exterminate Mosquitoes, Wasps, Etc. – Perfect for Home, Patio, Gardens, etc. Off! Mosquito Lamp Starter Unscented 0.29 oz.